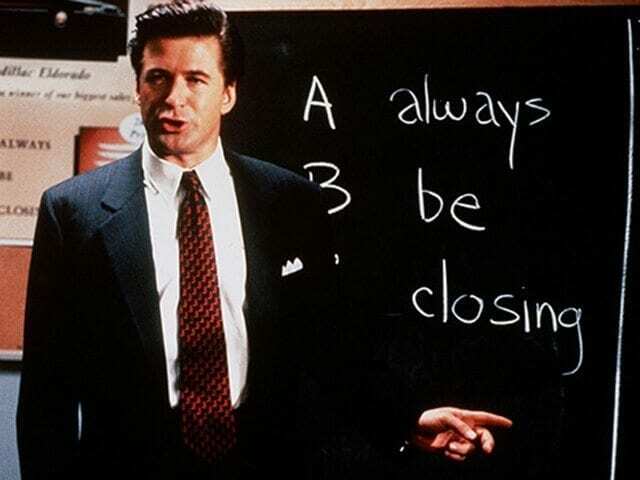 ‪To say that Alec Baldwin’s “Always be Closing” scene in Glengarry Glen Ross has achieved cult status over the past few years would be a huge understatement. It is nothing less than a classic and timeless film clip. ‪Of course, the context of the scene is a very high-pressure one: an intense sales competition in which the “closers” will be rewarded, while those who cannot close a deal will be fired. ‪What Baldwin’s character doesn’t address in his fiery soliloquy, however, is that you must open before you can close. So what makes a great opening? ‪This opening line itself is a close of sorts, as Goldman wrote his novel after asking his two daughters what they wanted him to write about. One wanted to hear about a princess, while the other wanted to hear about a bride. Great ends come from great openings. ‪In a superb Ted Ed talk, educator Carolyn Mohr spoke about the power of a great opening. She argued that a highly compelling introduction leads to a strong thesis. If we take the bold step of layering Baldwin’s thesis over top of Mohr’s, we arrive at the following notion, one that applies to virtually any opening and closing we might encounter in our personal and professional lives: A captivating opening that leads to a strong thesis will often result in a powerful close. ‪Startups and small and medium-size enterprises should consider their entire businesses as ongoing, evolving stories when thinking about their sales pitch. How compelling that story is can make the difference between a successful or unsuccessful close, and whether one even reaches the entry gates to that close in the first place. ‪In Glengarry Glen Ross, the real issue was not that some of the salesmen were great closers while others were failures, it was that the more successful closers were more proficient at every part of the process, from how they presented themselves and how they crafted and worked their client relationships right through to the eventual close, which was reasonably easy to accomplish for some, but impossible for others. ‪I’d go as far as to say that the best closings are the result of the most thoughtful openings. If you spend time thinking about opportunities you can create for yourself and others, and about situations that create new paths to your success, you’ll find yourself achieving more closings. In fact, I bet you’ll find that where you once faced many obstacles in closing, these obstacles will begin to vanish, a result of the foundation you’ve laid down in building a much-improved opening and thesis.